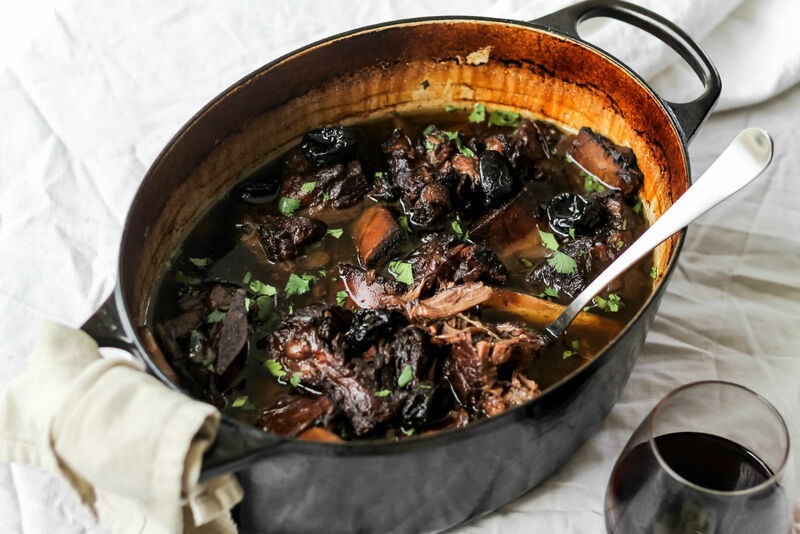 (The Nosher) – Braised short ribs are a decadent and delicious alternative to brisket for Passover, or anytime you want to serve up a very special meal. They are so tender from cooking low and slow, they literally fall off the bone. Adding dried fruit to meaty dishes is one of my favorite tricks for creating a sweet and savory flavor profile. Plus the acidity from the red wine and balsamic vinegar adds an extra special touch of umami.